Daniel Robertson is an activist and charity worker based in Nottingham. 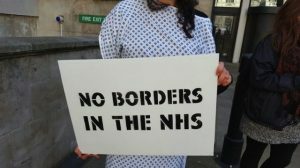 New NHS regulations regarding charging migrants for health care have recently come into force. Beyond the headlines about cracking down on health tourism, denial of treatment and the imposition of debts are making vulnerable migrants lives a misery.